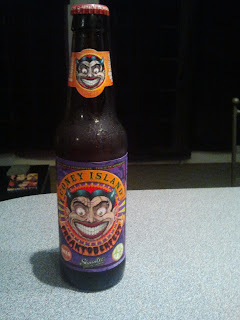 Black Metal and Brews: Beer Review: Shmaltz's "Coney Island Freaktoberfest"
Beer Review: Shmaltz's "Coney Island Freaktoberfest"
Today's review has been a lot of fun for me. Do you want to get ready for Halloween in the most appropriate extreme metal fashion? Do you want to drink the blood of the innocent, but are afraid that local law enforcement may ruin your fun? Then grab yourself a bottle or more of Coney Island Freaktoberfest. I've got a well documented love for Shmaltz and their commitment to challenging and enjoyable beers. This blood red lager is another success in the long list of excellent Shmaltz beers I'm already hooked on. I must admit that the kitsch factor of drinking this beer intimidated and concerned me at first. Would I find the color and alcohol content of 6.66% to be the only appealing aspects, as some friends had warned me? Would this be another autumn beer that simply leaves me waiting for my beloved winter beers? The answer is definitely "no." Aside from the freakishly entertaining packaging and concept, this beer is a wholly enjoyable experience. I'm not the most well educated drinker of red ales or lagers, but I know that I'm not always so partial to them. I'm partial to this beer, and not just for its gimmick. 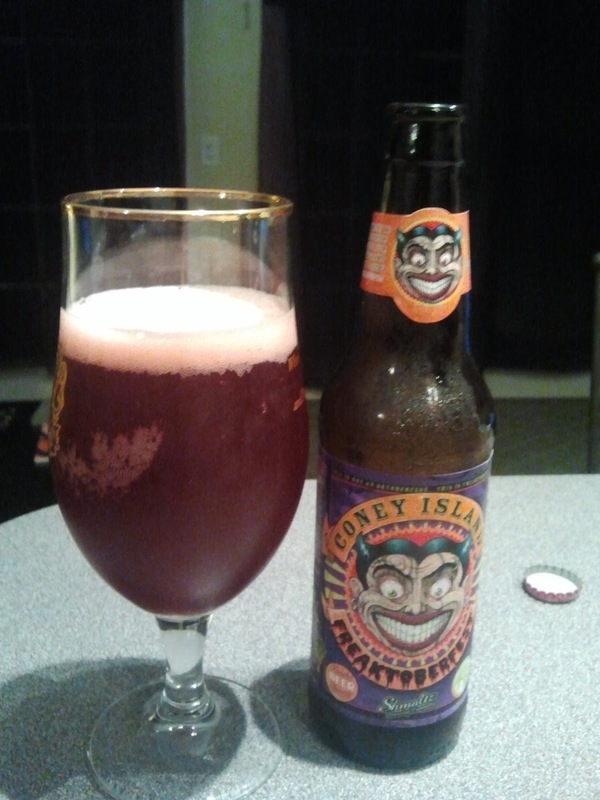 The flavor is quite balanced and palatable and the beer is great for smooth sipping. The head is slightly bubbly and gives way to a delightful mellow fizz when I take a big sip. While the color would imply hints of strawberry or raspberry, this is not a fruit beer by any stretch of the imagination. In fact, this beer isn't really any kind of beer other than just a damn great beer. With an equal balance of malt and hops, I find this to be an excellent beer to just sit and enjoy. As the name and concept of this beer are specific to the month of October, don't be surprised if it leaves the shelves relatively soon. Grab yourself a pack and share it with friends if you're having a small gathering later this month. Put on your favorite extreme album, pour this blood red delight, and celebrate the glory of the freakiest month of the year with a killer beer in hand. I promise your friends will be looking forward to next year's Halloween party.